I watched a video recently about lifetime extension and the burgeoning science that supports it. I started to do a little reading on the topic trying to understand the people who are seeking to extend their lives and am surprised by how hugely motivated they are by the prospect. I’ve spent some time reflecting on whether I want to live into my hundreds and to be honest the answer is that I don’t know. When Ray Kurzweil was asked whether he wanted to extend his life he said something like "I know that I want to live until tomorrow and I expect that tomorrow I will want to live to the next day and I can’t see that changing". Well I can see that changing for me, I can imagine many situations in the future where I will decide that I don’t want to live until tomorrow and where the prospect of living for many more years hold little attraction for me. I don’t dwell on these scenarios. What I do know though is that for every day that I do live I want to live the best that I can. Living those days ‘well’ means that I need to invest in my mental and physical health today and every day. These investments in my health might extend my life, but that’s just a side effect. My objective is to live well, not to live long. If I live well AND long then that’s just fine. If I live badly AND long, well no thanks. In summary I think those passionate about longevity have got it slightly wrong, instead of focussing on extending their lives they should be focussing on living well for the days they naturally have left. If living well extends their life then that’s a happy coincidence. There’s a twist to this pursuit of longevity though, a lot of it’s proponents claim that if we live for just another 20-25 years then medical science will have advanced to the point where we will be able to extend our lives for many more years. I think this might be the worst option of all, being a 75 year old indefinitely, even a fairly healthy one, surrounded mostly by people who are much younger and healthier than me might not a great option. When we look at happiness for most people it’s almost always defined in relative terms, and the people I would compare myself too would be likely better off. 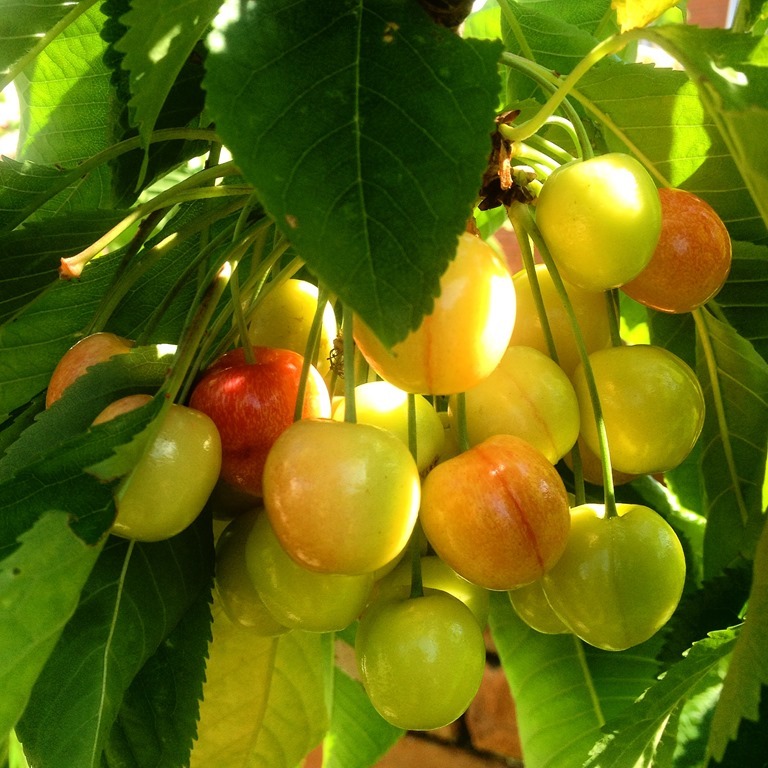 The photo today is of a bunch of cherries that I’m about to munch on from my garden, it’s eating whole foods and getting exercise in the fresh air that I’m using to extend my life.